Already an interior design addict’s dream, boutique hotel Halcyon House – on northern NSW’s Cabarita Beach – has upped the ante with its gorgeous new spa. Laura Wilson reveals what you should know. 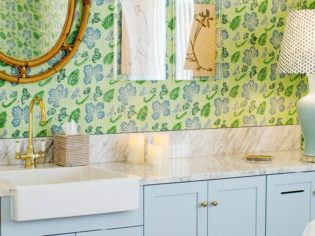 Is best known for its crisp white exterior, and unique mix of ocean blue décor inside, built around bold clashing prints (from lampshades to wallpaper, cushions and curtains) put together by interior designer, Anna Spiro. Even the bar-side book shelf has been colour co-ordinated with blue-spine books curated from around the world. It’s a treat for the eyes, as is the view from the beach-side location that backs onto the gorgeous Cabarita coast-line, where you’ll find uninterrupted ocean views. Perfect for a romantic getaway, long weekend, or even a wedding. Is open to guests, as well as the public, and sits in front of the famed hotel, sporting the same signature white exterior, now synonymous with Halcyon House. Step inside, and it’s almost as if Spiro has upped her own game – along with architect, Virginia Kerridge – taking their work on the hotel to new heights. The countless colours, patterns, lighting and space combine to create Instagram opportunities at every turn. 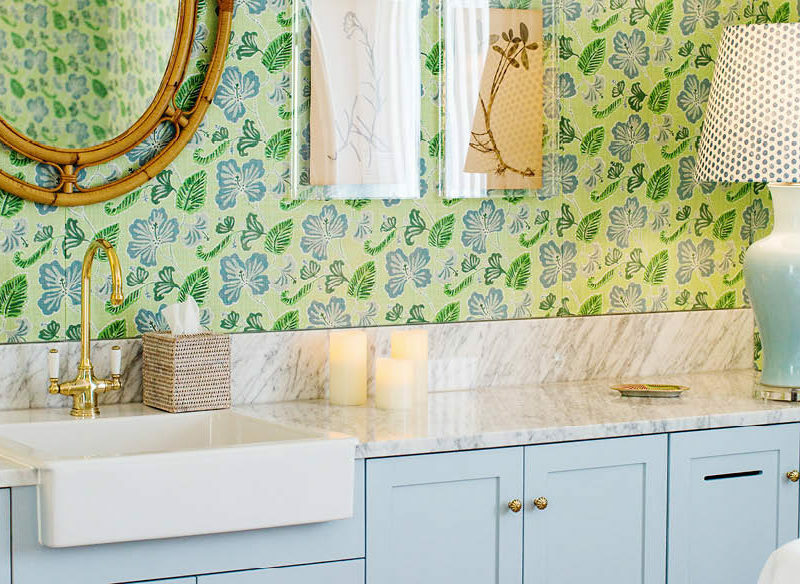 Of coral, pale pink, mint and multiple shades of blue, are juxtaposed with patterned wallpaper, to create a unique colour combination for every treatment room. Pared back with white woodwork, gold accents and tiles found all over the world – from Morocco to Mexico – there’s even a dome-shaped wet room with stunning floor-to-ceiling tiles for steaming in style, pre- or post-treatment. This décor, plus natural light, free-flowing air, and individually-controlled air-conditioning and music in each room all contribute to a feeling of calm relaxation. From skin-smoothing facials, to purifying body scrubs and muscle healing massages, there’s something for everyone – and every budget. Ranging from 30-minute treatments ($90), to a five-hour spa session ($495) that includes lunch at Halcyon’s hatted restaurant Paper Daisy, you can come and stay for as little – or as long – as you like. Spa Manager, Alessandra Viel, whose experience spans Europe (most recently, she’s worked in Capri) – describes the treatments as a “sensory journey” using products from Australian brand, Sodashi and in-house oils that are “custom-made by an aromatherapist from Byron Bay.” Even the staff uniforms are chic: a two-piece, white linen set from a local Brisbane designer. It’s so popular that you can buy them in the spa’s lifestyle store located in reception. Viel recommends the Samadara Ultimate Age-Defying Facial, “that increases the elasticity of the skin and includes [massage using] Madagascan rose quartz.” Sounds like heaven, and those on-trend crystals provide yet another Instagram opportunity for the social media-savvy. Expect a relaxed, but sophisticated vibe, and tasty culinary delights. Breakfast is loaded with superfoods, while lunch and dinner are full of fresh seafood and local produce with a menu designed by young gun head chef, Ben Devlin. The opportunity to relax by the Hamptons-style pool, partake in daily yoga sessions, or borrow the complimentary surf boards and bicycles for a day of leisurely activities by the beach. There’s even Audi A1s for hire to explore the surrounding areas by car. We recommend a trip to Bangalow to visit the weekly Farmers’ Market, or of course, Byron Bay where you can walk up to Cape Byron Lighthouse, before dining at the iconic Rae’s on Wategos.